Today’s post is by Bec Hill. 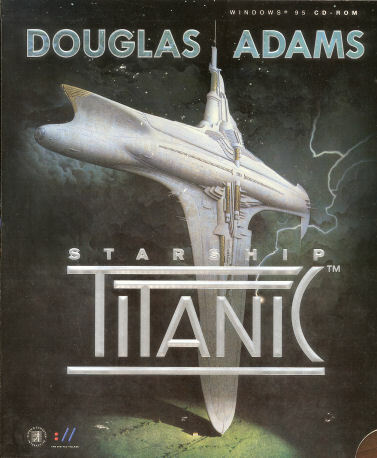 I don’t know how he had heard about it – as most people I know today still haven’t – but my first memory of Starship Titanic is my Dad picking it up at Cash Converters and stating that it was meant to be a brilliant game. When we took home that little bundle of joy that day, I had no knowledge of how it would remain in my heart and mind forever. But before we get into all that, I want to share with you a typical weekend in the Hill household in 1998. I was 11, my brother was 8 and my family were slightly mental. My parents – big on the SCA (a medieval re-enactment society) – used to take us to feasts once a month; a phenomenon I would not realise was unusual until age 13. My parents met while working at IBN. My Dad was a software engineer (or something like that. I never understood his explanations) and my Mum did something involving archiving… or something… then she became a Librarian… Look, I’ve already delved into this way further than intended. To sum up, my parents are geeks. Essentially, my brother and I never stood a chance. So, growing up, our treat was that Dad would take us to Cash Converters every Saturday (if we’d been good and done all our chores) and we would get to spend our pocket money on a new computer game. Dad picked up Starship Titanic and explained that it had been designed by the same man who wrote that TV series I used to always borrow on video from Mum’s library. The one based on the books which Dad had. The ones called, “The Hitchhiker’s Guide to the Galaxy”. Some of you reading would have known this as soon as you saw the title of this article. Others will be like, “What the crap? How have I never heard of this? !” How indeed, my friends. It’s a first-person graphic adventure game. In the beginning, you find yourself in a house (not unlike Arthur Dent’s). You can click on various items to see what they do and there’s even a Starship Titanic CD which you can put into the computer in the game. (This was my first encounter of a meta concept in a video game and it BLEW MY MIND.) While you try to work out what you’re actually supposed to be doing, A MASSIVE SPACESHIP CRASHES THROUGH YOUR CEILING. And I mean massive. When you get on board, you catch a lift up to the Reception. In the lift, there’s a window and you can see the roof of your house, the fields surrounding your house, and the clouds as you get higher and higher. You travel through the Earth’s atmosphere and into space. AND THE SHIP HASN’T EVEN LEFT THE GROUND YET. The best thing about this game, is it actually takes you some time to work out what you’re supposed to do. So, I’m going to describe it as best I can without giving away too much. The ship is a luxury space cruise-liner (for reasons unexplained at the beginning, there are no passengers) and is run entirely by robots. Who have all gone senile. There’s the DoorBot (who’s a bit like a an old, fussy butler), the DeskBot (who works the Reception and has the worst Customer Service skills in the world), the BellBot (who’s a smooth-talking lobby boy who I kind of had a crush on… if you can get crushes on robots in computer games… which you can) and the LiftBot (who often gets side-tracked talking about The War). There are loads more, but it’s better if you just play the game and meet them yourself. “But how do you play?” I hear you ask. Well, that’s the most genius part. The game has over 10,000 pre-recorded phrases by the voice actors. You type in your questions/answers/conversations at the bottom of the screen and the character you’re speaking to responds accordingly. The fact that most of them are mental means that if they don’t understand your question, they can just reply with utter trite, but it does give a convincing perception that you are talking to and engaging with the game’s characters in an almost AI situation. Not just that, but the game’s graphics are INCREDIBLE. To the point that I genuinely hope that Heaven will be just like the Starship Titanic. You can explore the floors and the rooms. There are restaurants, bars, galleries and just-ARGH!-it’s so good. I can’t even put it into words. It’s like being given free run of a Las Vegas hotel. 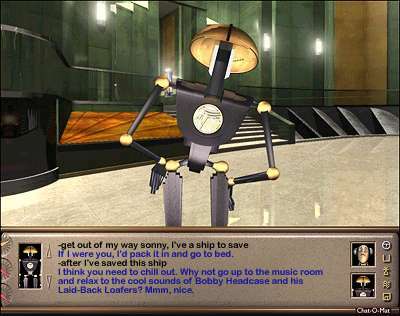 I never actually finished the game, because I used to just wander around, playing with stuff and talking to the robots. I refuse to watch any of the play-throughs on YouTube because I am determined to find an emulator which will allow me to play it on my PC, so I can finish it one day. BUT I HAVEN’T EVEN TOLD YOU THE MOST AMAZING PART!!! 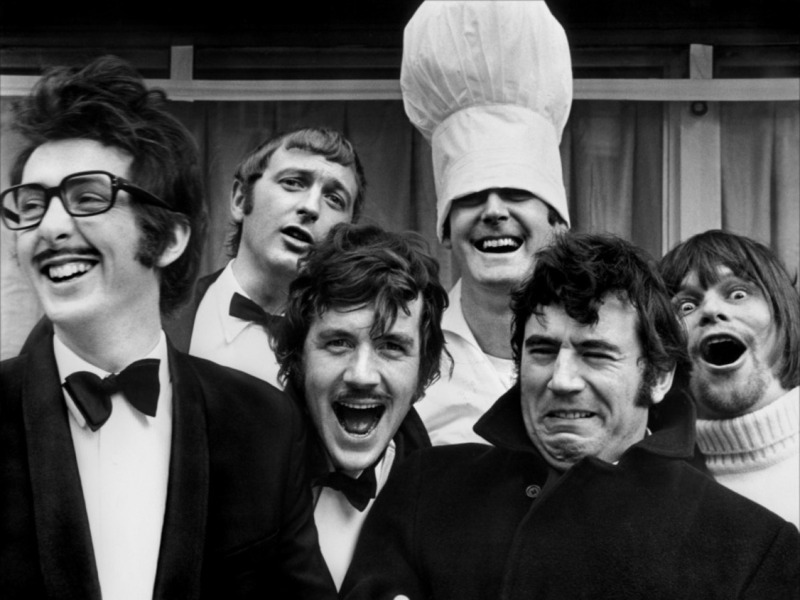 A whole bunch of the side-characters are voiced by the cast of Monty Python. Yes. Uh huh. This game helped further my love of Douglas Adams, boosted my respect even more for Monty Python, gave me an unnatural obsession with robots and taught me that computer games can incite an emotional reaction on a level which most movies, or TV shows can’t. 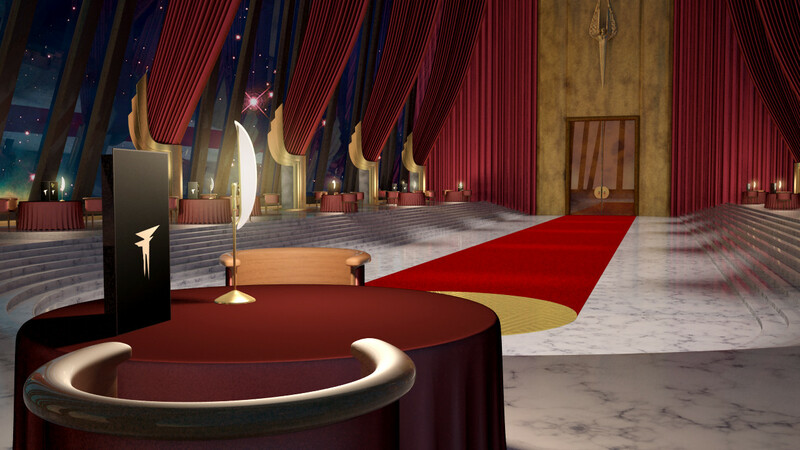 Starship Titanic allows you to meet and interact with a new family – even more crazy than my own – and encourages you to laugh and think along the way. And that is why it rocked my world. Bec Hill is an awesome comedian. Here’s her website! 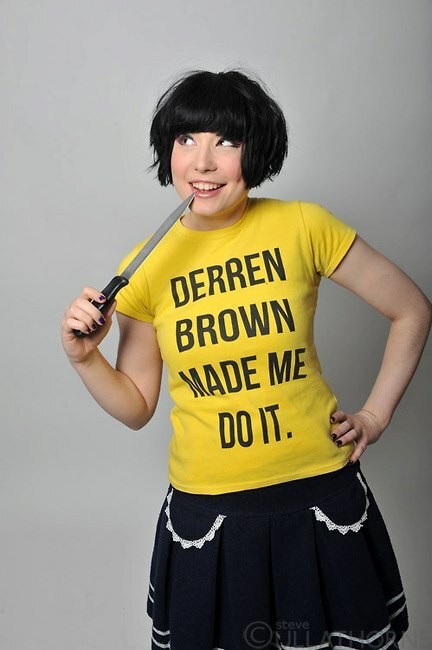 While you’re at it, like her on Facebook, follow her on Twitter and buy one of her ace t-shirts! Here’s a silly song I wrote with Jay Foreman that Bec has IMPROVED IMMEASURABLY.